So, your business has put together a great video for their YouTube channel. Whether it’s a tutorial, a product/service demonstration, or a video explaining just what your business is all about, you’re eager to get it out into the masses. But, much like with your business’s other content, you need to promote your video and encourage people to watch it. Most importantly, the video needs to be found. Along with the basic promotion tasks (posting a link to your video on social media, your website, through email, etc. ), to market your video, consider promoting it from YouTube itself. Ads are commonly seen before, during, or after YouTube videos. Sometimes the ads are for channels, encouraging people to watch their content. These are ad campaigns done through AdWords for Video, and it’s something every channel can do to market and promote their content. According to YouTube’s Creator Academy page, “all you need to do is create your ad, set your budget, and target the desired audience.” The program is flexible, allowing you to change your ad, your budget, and your target audience at any time. You’re also able to end your ad campaign whenever you want. To get your ad campaign started, check out these other tips from YouTube’s Creator Academy. Who: Are you marketing your video towards adults, children, or teenagers? Males or females? Those with a specific niche/interest (such as cooking or fashion)? Narrowing down your audience is key to making your ad successful. TrueView In-Stream: This format shows your ad before, during, or after videos your target audience watches. Five seconds into the ad, they have the option to either keep watching or skip the ad altogether. “You pay when a viewer watches 30 seconds (or the whole duration, if shorter) or interacts with your ad.” This makes this form very cost-effective as a 30 second view is a considerable amount of time and a lot can be communicated to your prospects before you are charged effectively. TrueView Discovery: This format shows your ad either on YouTube search results, next to videos that relate to it, or on the YouTube homepage itself. 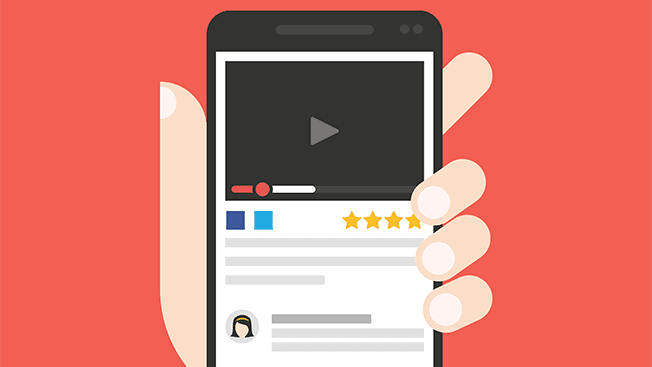 “This format reaches people in moments of discovery, when they’re searching or browsing videos.” If someone clicks on your ad and watches your video, that’s when you pay. What do you want to come out of your video campaign? Do you want to promote a specific product, service or your channel overall? Do you want to reach out to new viewers? Keep your goal in mind and stick to it when putting together your ad. Tell your story: Marketing is all about storytelling. Whether you decide to go with a bumper ad or one that’s much longer, tell your target audience your business’s story and what your channel stands for. Grab their attention quickly: You want to keep your audience interested in your ad and not skip it, so make those first few seconds count. Test it out: Try putting out multiple ads and show them to various audiences on various devices. Showcase your best content: If you’ve had your channel for a while, use popular clips from your videos in your ad. Be clear about what you want your audience to do: Whether you want them to learn more about a product/service or subscribe to your channel, let them know through a call-to-action. Come up with a clever title: It’s the first thing your audience will see in your ad, so make it count. Contact us for more information on how to use YouTube to promote your video content.